Although the Devoran and Carnon Downs Home Guard was part of the wider Cornwall Home Guard, they probably formed part of the 10th Truro Home Guard Battalion. The Devoran and Carnon Downs platoon of the Truro 10th Battlion Cornwall Home Guard are shown in a photograph reproduced in Devoran and Its River by Ralph and Marie Bird. Some of these men might have had an unusual additional secret role as part of a Home Guard Auxiliary Unit. The 10th Battalion (Truro) Home Guard commanding officer was recognised in the 1945 honours list – Major A.F. Bluett. Major Albert Fernleigh Bluett fought as an officer with the DCLI in the First World War. Son of a publisher and journalist, Bluett lived at Fairholme, Kenwyn, Truro. Living not far away in Truro at the time (and later buried in Kenwyn Churchyard) was an interesting Home Guard character, Harry or Henry Walter Abbiss. But more of him shortly. As well as the regular Home Guard with its patrols, parades and public duties, there was a less well-known secret ‘stay behind’ group known as the Auxiliary units. Their secret guerrilla warfare bases have occasionally been uncovered or revealed by patrol members many years later. Trained at Coleshill House, the nearest Auxilliary Patrol to Devoran appears to have been at Perranwell. Other Auxiliary Patrols existed at Grampound, Probus and many other areas nearby. Perranwell Auxiliary Patrol – Assumed targets would have included the Sparnick railway tunnel at Pellynwartha (which was very close to the OB), the railway viaduct at Ponsanooth and the main A39 road. The railway line would have been an important supply route as it ran from Falmouth Docks to the city of Truro on the main line from Penzance to Paddington. Coleshill House website entry for Perranwell patrol. Stickenbridge? This is where the River Kendall runs underneath the A39 Truro to Falmouth Road past the Norway Inn and Mylor / Flushing turn off and before the road off to Cosawes and Ponsanooth. There is also nearby the Ponsanooth Railway Viaduct (and further up the line the Viaduct crossing the Bissoe Valley near Deborah. All likely demolition targets. OB were Operational Bases or Bunkers assigned to or built by each Auxiliary Unit. There is currently no information on a Truro or specifically Devoran area patrol or Devoran bunker on the Coleshill House website. The names of local commanders for these secret ‘Stay Behind’ guerrilla troops were published in The Last Ditch by David Lampe (1968, republished Frontline 2007) by which time Harry Abbiss was dead. Harry Abbiss died in 1965 in Truro, aged 74. These local commanders would have been assigned loosely to be part of the 203rd (GHQ Reserve) Battalion of the Home Guard. According to Brigadier C.R. Major quoted in Lampe’s book, overall all these units would be under the care of the Cornwall Intelligence Officer, one Captain John ‘Jack’ Dingley. Captain Dingley was responsible for forming 28 Auxiliary patrols overall of 195 men under 7 Group Commanders. 27 Auxiliary hideouts were built and 2 in progress in 1941. The Devon and Cornwall IO (Intelligence Officer) base was said to be Polhilsa House, Stoke Climsland near Callington, Cornwall. Number 4 Region covering the Southwest has three Truro based names for Auxilary Group Leaders amongst the Cornwall references – Abbiss, Yeo and Harte. Truro, Cornwall. Group 3 Commander (and Area Commander): Captain Henry W. Abbiss, Trelawney Road, Truro, Telephone Truro 2427. Frederick J Yeo was born on 15 February 1896. His 1939 Register entry tells us that he lived at Westover, Redannick Lane, (also mentioned on the Coleshill House site mentions of him). He is employed a Clerk at the county Council in Truro. His medal record card ( Victory and British War Medal) lists him as DCLI Private 202281 then later Wiltshire Regiment 204297. His name and initials feature regularly in local papers as a Truro College school boy in sports days, later as a baritone and comic singer at many local social events. In December 1927 he would be mentioned in the Western Morning News as a soloist in Vaughan Williams Choral Fantasia on Christmas Carols for Truro Musical Society at the Truro Cathedral carol concert. Seventeen years later he may have been at the Home Guard stand down parade and church service for the Cornwall Home Guard Battalions at Truro Cathedral in December 1944. Thirty years later after his schoolboy team picture, F. J. Yeo is pictured with his fellow Auxiliary Unit commanders. Edward Karl Follit Harte was born 2 January 1902 in Cardiff (so a little younger than the others and too young for WW1) He died in Truro 1977. Married by 1926, in the 1939 Register he is listed at Crownhill Plymouth as a Commercial Traveller Biscuit Firm, again a good job for getting around the county. His wife Gertrude Mitchell Wallis Gordon (born February 1907) was the daughter of a Navy family, her father Richard J. Gordon (born 1880) being a retired Lieutenant RN who was recalled to active service in Plymouth on or at HMS Drake. So who was Captain H.W. Abbiss? The story begins in 1924 with the first ever Spring Show, although back then it was an entirely commercial affair and began life as ”The Western Commercial Horticultural Show” and it was down to the vision of one man that it took place at all. Captain H.W. Abbiss was a horticultural advisor working for Cornwall County Council and he realised the great potential of the early advantages afforded to the local growers of our very mild winters and warm springs. The Coleshill website has a little more about Captain Abbiss. After 1941 a “grouping” system was developed where some [Auxiliary] patrols within a demographic area would train together under more local command. St Dennis was part of Group 3 along with Redruth, Mabe, Perranwell, Constantine, Truro, Perranporth, Newlyn East, Grampound, St Columb, St Mawgan, Probus and Philleigh. They were under the group command of Captain H.W. Abbiss from Truro along with Lieutenant F.J. Yeo and 2nd Lieutenant E.K.F. Harte. Captain H.W. Abbiss from Truro was also the area Commander for this and groups 1 to 4, covering two thirds of the county. In 1945 Captain Abbiss was awarded the MBE (Military Division) and reporting of this gives some interesting if coded information. Captain H.W. Abbiss pictured in the Western Morning News, 29 December 1944 on the announcement of his Military MBE after the stand down of the Home Guard. His cap badge appears to be that of the local regiment the DCLI? The 1944 article gives an interesting wartime biography for Harry Abbiss and his Military MBE “for meritorious service in connection with a specialised branch of Home Defence”, which is probably a coded reference to his secret Home Guard Auxiliary Unit work. This role sounds like perfect cover and probably a petrol ration for popping around the County talking to farmers and other countryside characters, supplying suitable equipment and stores to Auxiliary Units. The newspapers are full of references to talks Abbiss made to different community groups and judging produce shows as part of the national Dig for Victory gardening effort. This would allow Harry Abbiss good reason or ‘cover’ to visit many parts of the countryside. He also appears to have broadcast on BBC radio 26 February 1940 on Market Gardening and War Time Measures and Allotment Holding. Harry Walter Abbiss was born on 26 August 1891 and in 1911 is recorded as a ‘Gardener Domestic’ with six other young gardeners in The Bothy, The Gardens, Overstrand, Norfolk (near Cromer). By the end of the war he was an acting Staff Sergeant in the RAMC 54th Field Ambulance and was gazetted for a Military Medal on 7 October 1918. In 1939 Abbiss appears on the 1939 Register living at no. 2 Trelawney Road, Truro listed as Horticultural Superintendent. His wife Ciceley E. Abbiss is listed as born on 20 August 1875, on unpaid domestic duties. Unusually she is 16 years older than him. Harry Walter Abbiss married Cicely E. Green at Erpingham in Norfolk in 1915. Harry appaears on the 1918/19 wartime absent voters list for Cromer Road, Hill Farm and from 1919 at Cliff Cottage , Overstrand, no longer the bachelor Gardener but married to the (newly enfranchised?) Cecily or Cicely Ellen Abbiss. By 1924 he and Cicely have moved to 53 Castle Street, Truro and by 1929 to 2 Trelawney Road, where he lived until the 1965. He died at R H (City) Truro hospital in 17 November 1965. His much older wife Cecile seems to have predeceased him, his probate on his death mentions Lilian May Old (widow) on his probate. A relative? He was to become the County Horticultural Superintendent in the 1920s. and “Commercial Violet Production”, 1938 are held by the Cornwall Record Office (source: The National Archives website). Similar publications by Abbiss on Potato Production in Cornwall and Winter Cauliflower or Broccoli are also listed. Other press cuttings mention his involvement in the potato experimental station at Gulval. This area near Trengwainton housed training for WLA land girls, had a local home guard unit and well connected Cornish gentry like the Bolitho and St Aubyn families that Abbiss knew through his horticultural job. Well connected, good cover for his secret activities. He appears to have been commissioned into the rank of officer, according to a reference on the Supplement to the London Gazette on 6 September 1939, p. 6114 as H.W. Abbiss, DCM, MM. On his Military MBE listing 1944 for the Home Guard he is listed as 203rd (GHQ Reserve) Battalion Home Guard. Fascinating man, Harry Abbiss, and an interesting subject, his local Home Guard Auxiliary Units. I would be interested to hear more about Harry Abbiss and his team or about Devoran and Carnon Downs Home Guard – please contact me via the comments page. This entry was posted in Cornwall, Devoran, WW2 and tagged 10th Truro Battalion Cornwall Home Guard, Auxiliary Units Home Guard, Coleshill House, Edward Harte, F.J. Yeo, H.W. Abbiss, Harry Abbiss on September 15, 2017 by worldwarzoogardener1939. 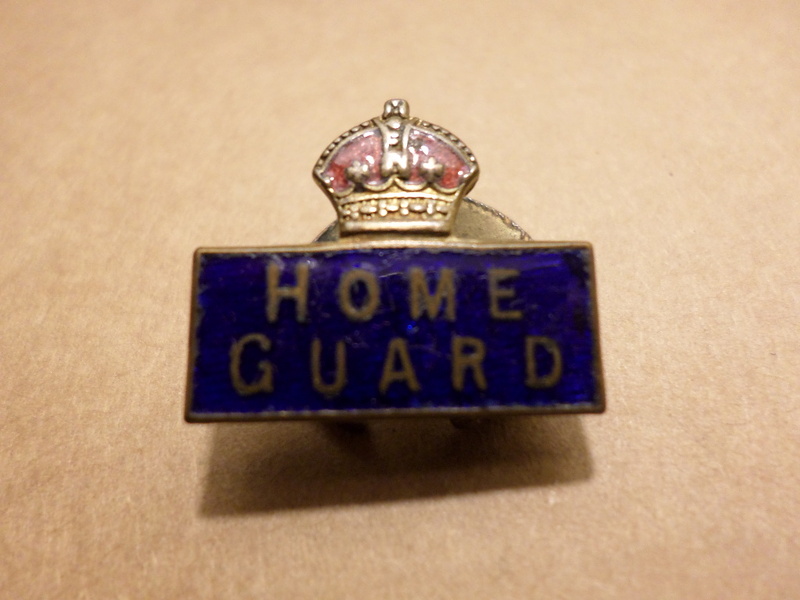 Initially known as the Local Defence Volunteers (LDV) when raised in response to Anthony Eden’s radio broadcast about the Nazi invasion threat of May 1940, the LDV were soon renamed by Winston Churchill as the ‘Home Guard’. There is a group photograph of the Devoran and Carnon Downs Home Guard in Ralph and Marie Bird’s excellent photographic history of Devoran and Its River (Truran Books, 2008). It may have been taken at the Home Guard stand down in late 1944. Please note: I do not own the copyright to this group photograph; If you want to have a closer look, track down a copy of this fascinating book. A few of the men in the photograph wear medal stripes suggesting they are WW1 veterans. This medal stripe is not clear on all the uniforms. Some of the names appear on the Devoran Roll of Honour in the Village Hall, suggesting it is the same man, although the widespread Cornish habit of naming children after parents and grandparents might complicate this. Other younger men like Joe Carlyon appear in some of the Devoran Council School photographs of the 1920s and 1930s. This A to Z of known names below, unless otherwise stated, is taken from the names attached to the Devoran and Carnon Downs Home Guard photograph on p.55 in Ralph and Marie Bird’s Devoran and Its River. Bill Gay – a W. Gay appears on the Devoran Roll of Honour. Albert Green – This may be the father of N.J. Green of Carnon Downs who left memories of his father’s service in Carnon Downs Home Guard on the BBC People’s War website. Alec Grey – wears medal stripes, maybe another WW1 veteran? He may be the famous daffodil grower. Percy Hawke – listed as a Sergeant in James Harris’ memories of the Home Guard. possible glimpse of NCO stripes on his sleeves and seated near officers. Percy Jeffrey – a P. Jeffery appears on the WW1 Roll of Honour. Harry Solomon also appears to be an officer and wearing a peaked cap. Other names on James Harris’ recollections include a well known local figure Captain Letcher and a Lieutenant Tamlyn as its officers along with Sergeant (Percy) Hawke. We would love to hear more (contact through our Comments page) from anyone who has more information about (family) members of the Devoran detachment of the Home Guard. The Devoran Home Guard are briefly mentioned in an old BBC interview with Isobel Carlyon http://www.bbc.co.uk/cornwall/villages/stories/devoran.shtml that “The Home Guard would practice on the quay during the war”. There does not appear to be much else in print about the Devoran and Carnon Downs detachment of the Home Guard. A platoon of the Home Guard was formed under the leadership of Captain Letcher, Lieutenant Tamlyn and Sergeant Hawke. A totally wrong impression can be gained by the TV programme ‘Dad’s Army’. The men who served in the Home Guard were working 48 hours a week as normal after which they gave up their valuable time and paraded for duty. The guard duties at Sparnik tunnel were shared with other platoons. Should saboteurs have interrupted the railway traffic on that line it could have had serious consequences at Falmouth. Sparnik Railway Tunnel is also mentioned in the recollections of the Falmouth Auxiliary Units … but that is a story for another blogpost. Devoran W.I. Western Morning News, 23 January 1943. Miss M.P. Tyacke presided at the January 1943 meeting, when Mrs. E.T. Dillon (Hon. Sec.) reported that the proceeds from the recent gift stall in aid of the Prisoner of War fund realised £1 6 shillings and 6d. An M.O.I [Ministry of Information] film dealing with “incendiary bombs” followed. The attendance included members of the WVS, Red Cross detachments, Home Guard and ARP personnel. The ‘lost brass band’ website http://www.ibew.org.uk/misc23cs.htm also lists the 10th Battalion Home Guard (Truro) as having a brass band. The final stand down parade for the Devoran Home Guard and all of the Cornwall Home Guard took place in Truro Cathedral in December 1944. Film archive of a local Home Guard unit (probably Truro) can be seen at http://www.moving image.org.uk – the SWTFA archive. The LDV poster above from May 1940 (a cutting from an old Newquay Voice article) suggests that the Home Guard of the City of Truro and its surrounding Rural Parishes were connected as a cluster of parishes extending from Feock and Kea across the Roseland to St Agnes and up to Newlyn East. Although the Devoran and Carnon Downs Home Guard was part of the wider Cornwall Home Guard, they probably formed part of the 10th Truro Home Guard Battalion. It is difficult to see a unit badge or flash on their shoulders. Alternatively they may have worked closely with the Falmouth Home Guard battalion. Members of the Devoran Home Guard would have been issued a certificate like this one for a Sussex Home Guard volunteer (in my collection). 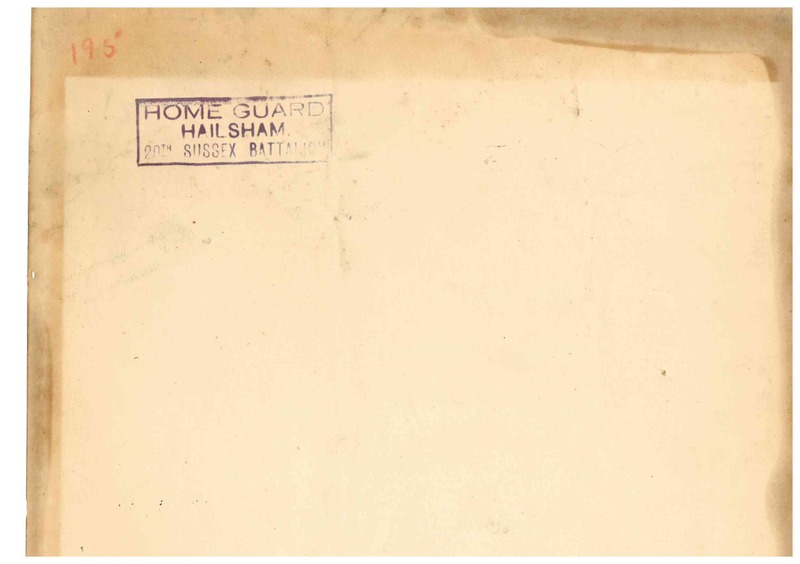 The reverse of Home Guard certificates usually records important service details. The 10th Battalion (Truro) commanding officer was recognised in the 1945 honours list – Major A.F. Bluett. Major Albert Fernleigh Bluett, who fought as an officer with the DCLI in the First World War, was the son of a publisher and journalist. Bluett lived at Fairholme, Kenwyn, Truro. In the unit photograph, based on their peaked caps, central position and in one case age, it appears that the Carnon Downs and Devoran Home Guard officers were possibly George Knight and Harry Solomon. All of the Cornwall Home Guard would have worn a cap badge of the local regiment, the DCLI. A selection of Cornwall Home Guard patches recently sold on EBay – starting top left 1st Battalion. The 10th Battalion Truro Home Guard patch is the red ship above two red fish on black background. Falmouth is the double headed Eagle No. 7. Another online auction site photo – the red ship and fish logo is captioned as the 12th but I think maybe the 10th Truro Battalion Home guard shoulder flash? As well as the regular Home Guard with its patrols, parades and public duties, there was a less well-known secret ‘stay behind’ group known as the Auxiliaries. Their secret guerrilla warfare bases have occasionally been uncovered or revealed by patrol members many years later. This entry was posted in Cornwall, Devoran, WW2 and tagged 10th Truro Battalion Cornwall Home Guard, Captain Letcher, Carnon Downs Home Guard, Choughs Comrades Association, Devoran Home Guard, Harry Solomon, Percy Hawke, Treve Holman on September 15, 2017 by worldwarzoogardener1939.